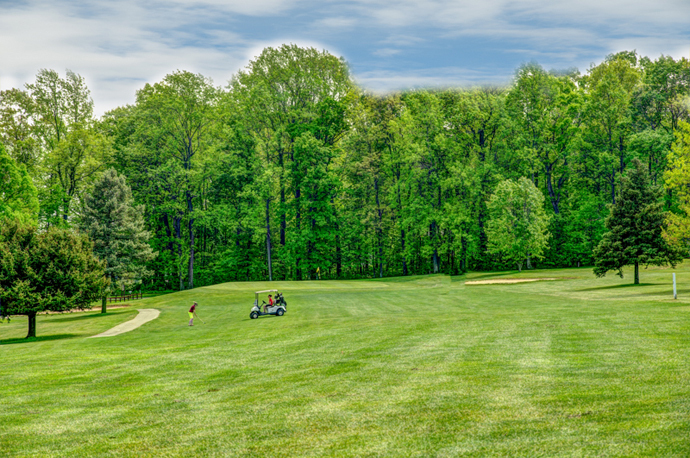 Five sets of tees allow golfers of every caliber the opportunity to play and enjoy the golf course. 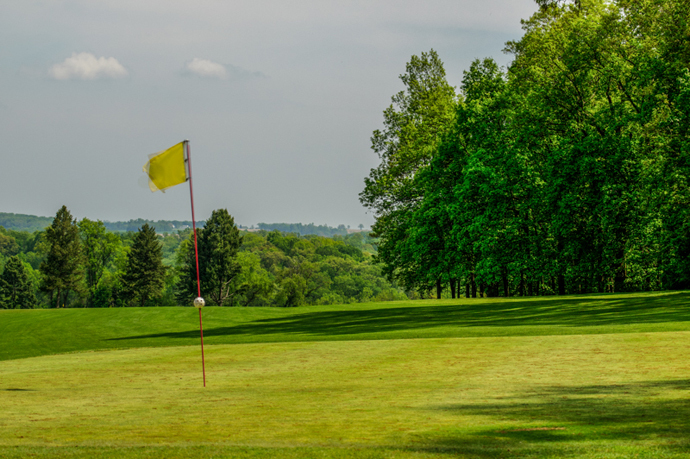 A nice straight away par 4 that is perfect to warm up on. A scenic par 3 over water. 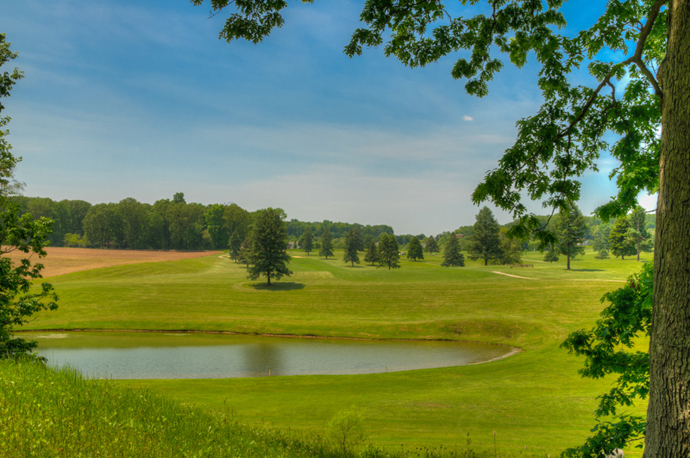 A 436-yard dogleg left requiring a demanding drive over water to reach the fairway. 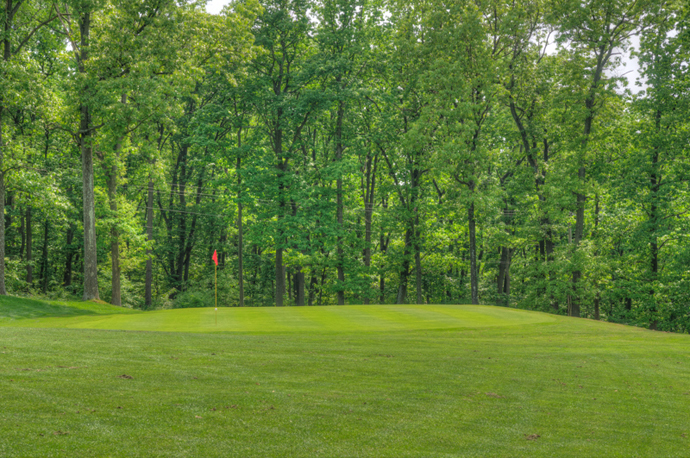 A narrow, uphill hole with out-of-bounds along the entire left side. 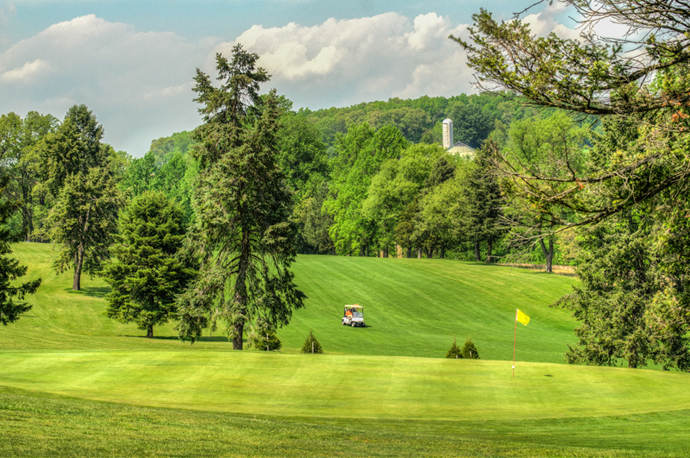 The gently rolling hills of south eastern PA are all felt right here in this 523-yard, a par 5. 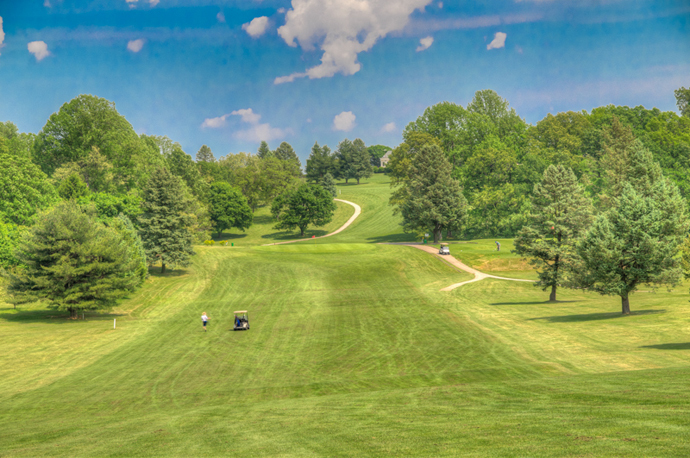 A long, uphill dogleg right requiring two solid shots to reach the green. 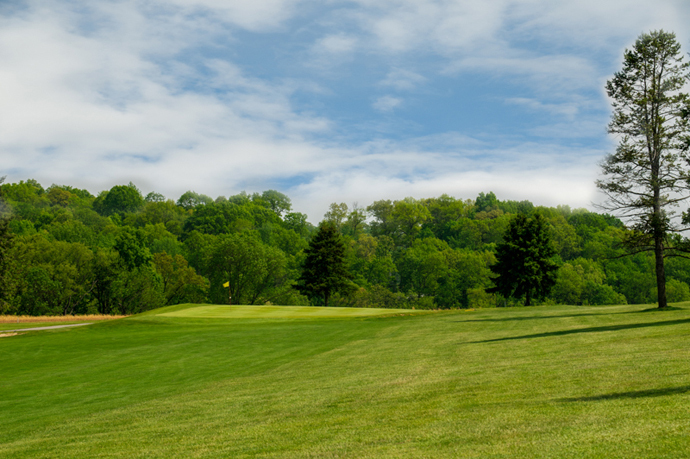 A gentle par 3 with knock-out roses adorning the back of the green. 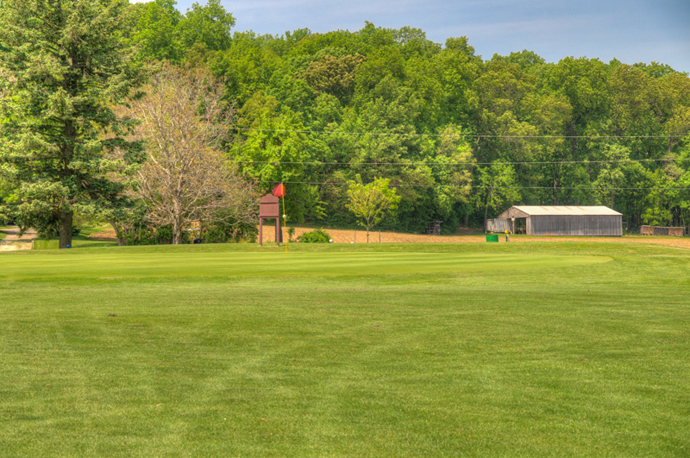 A 475-yard, par 5 finishing with an elevated green protected by water on the right. 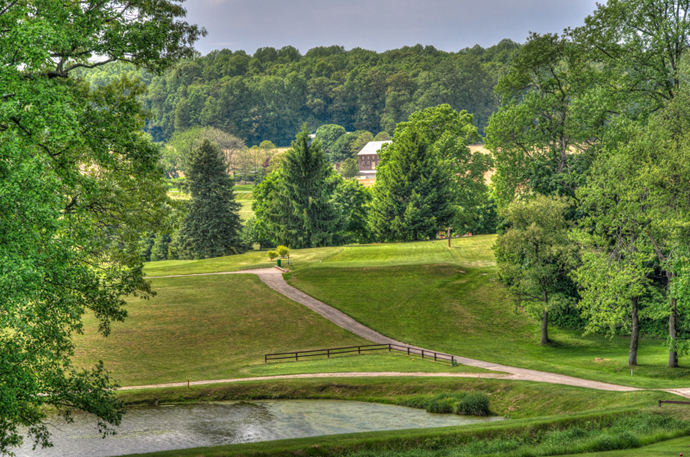 A long par 4 requiring a powerful drive to clear the pond and reach the clearing at the top of the hill. Easy enough for those who manage to avoid the cornfield that runs along the left side. 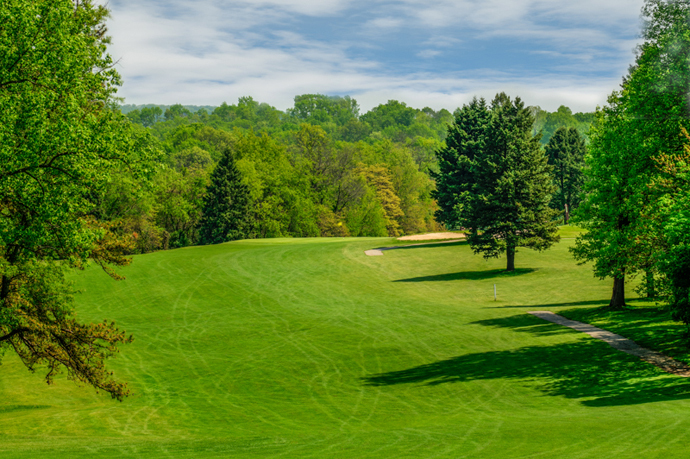 This 126-yard downhill par 3 is the sight of many hole-in-ones. 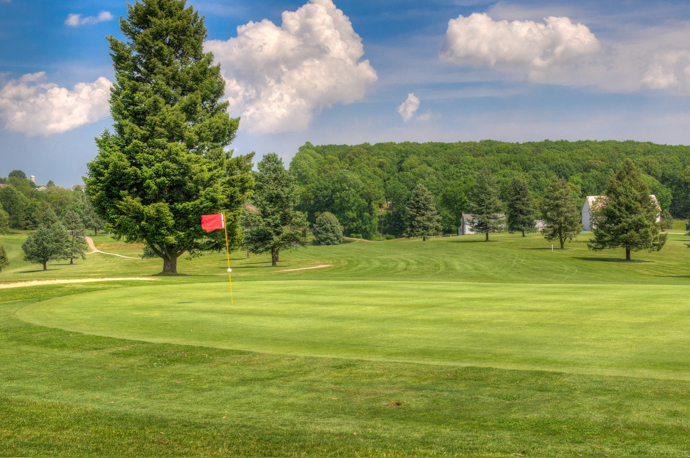 This double dogleg requires shot-making skills and good thinking. 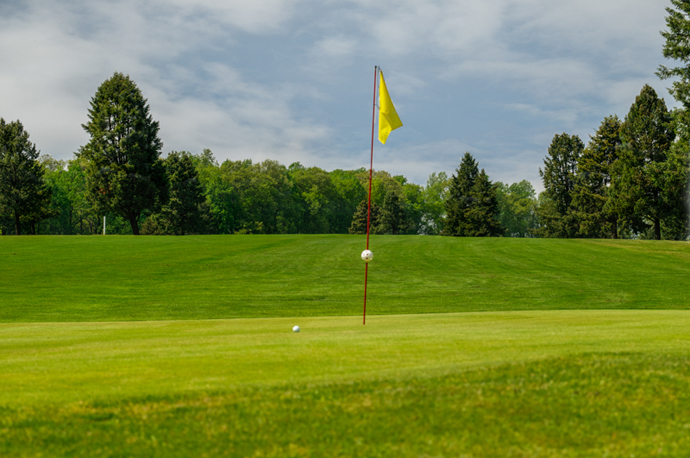 This straight-away par 4 should be an easy par, or for the long-ball hitters, even better. 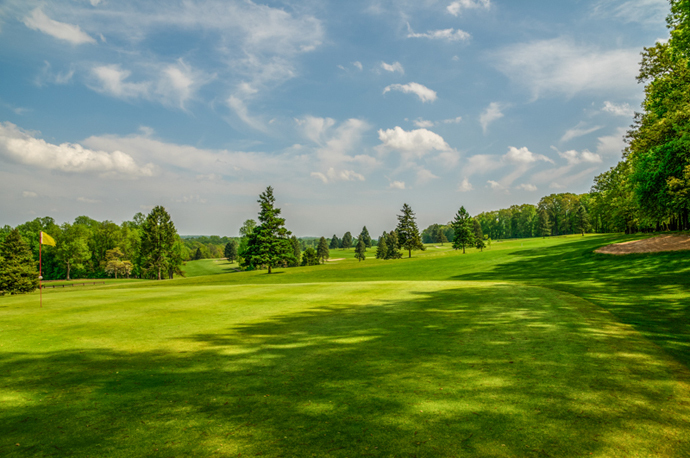 A long par 4 with a sloping fairway, this hole requires two really good shots to get on. 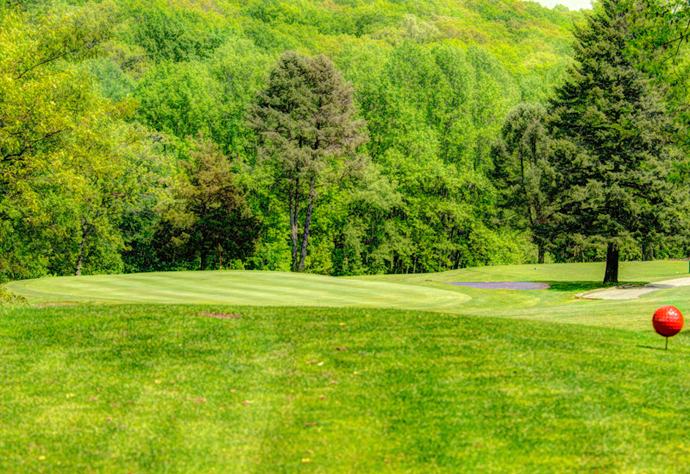 A 427-yard par 4 that finishes with a difficult green made up of subtle rolls. 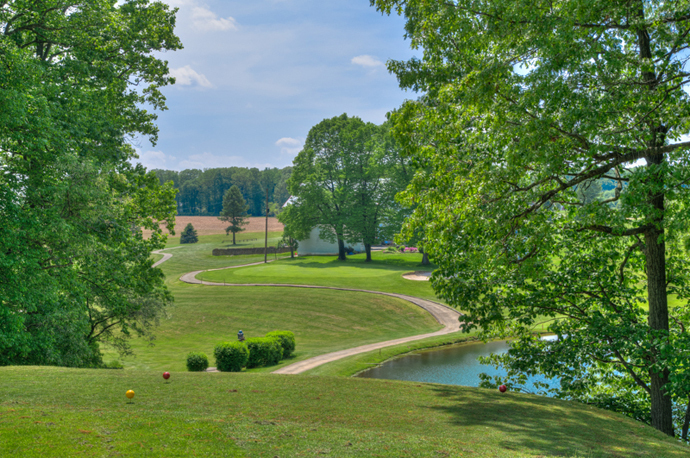 A scenic dogleg left, par 5. 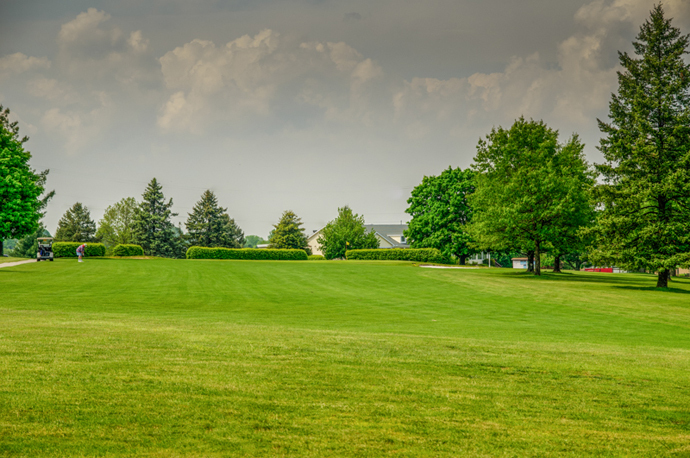 A gentle dogleg right to a well protected green. 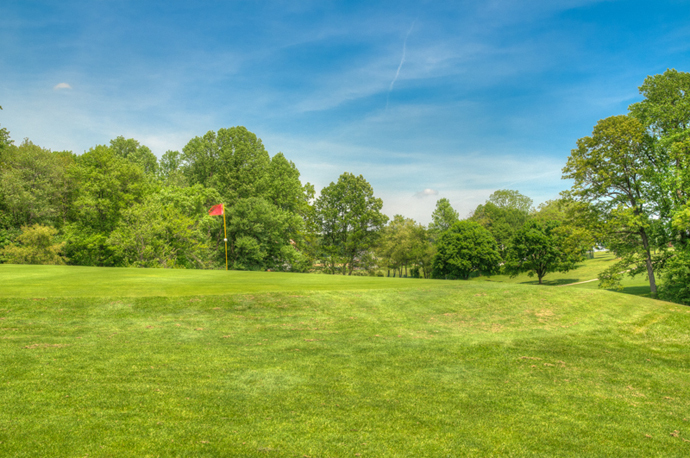 This 242-yard par 3 can ruin a good round in a hurry. 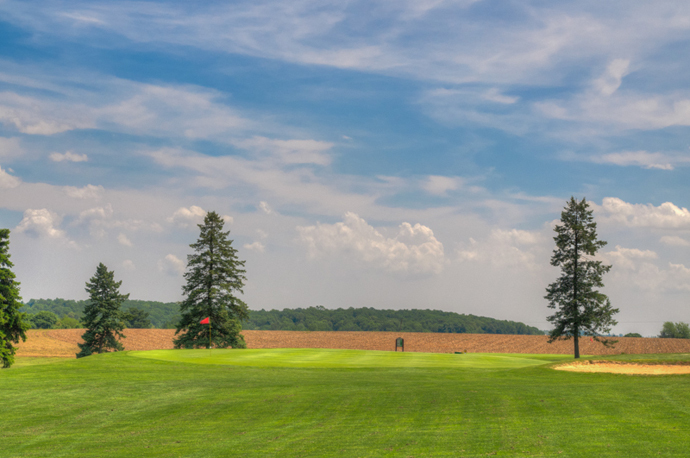 Many a tournament has been won or lost on this hole.